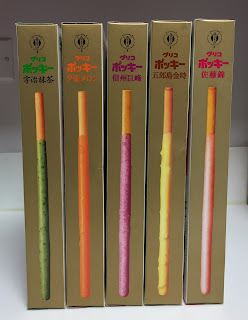 Local Souvenir Pocky "Goroujima Kintoki"
When my parents visited us in NY, I asked them to bring some (well, a lot of) Japanese snacks and one of them was special Pocky. 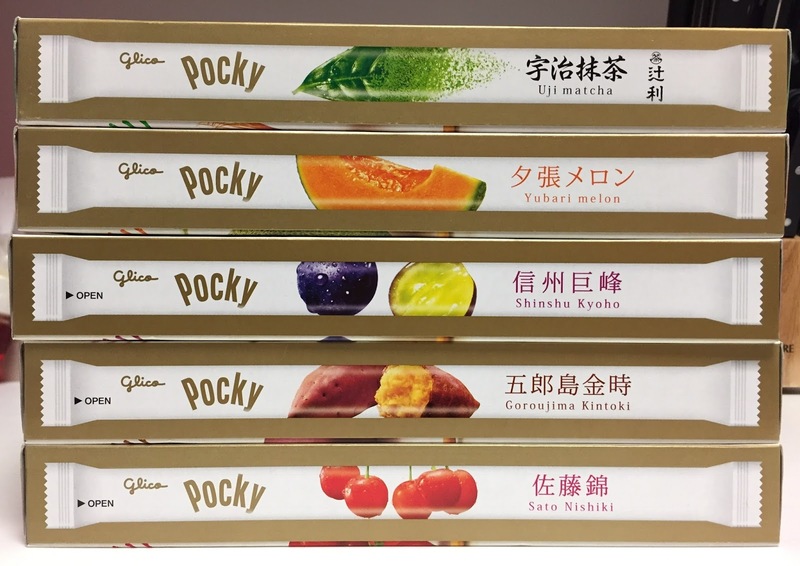 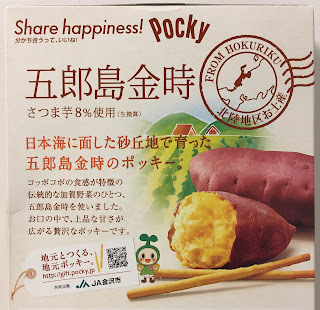 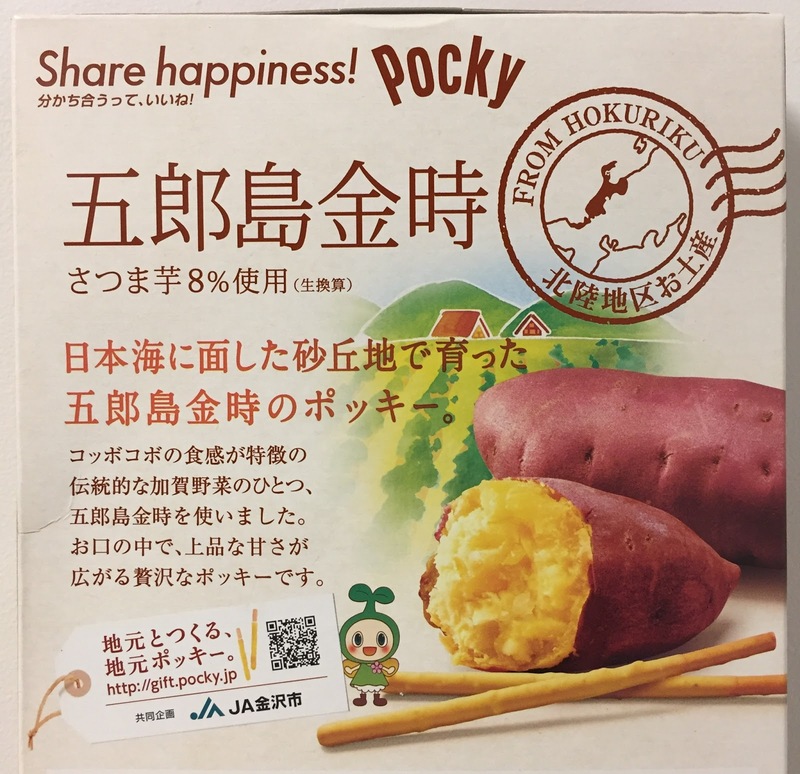 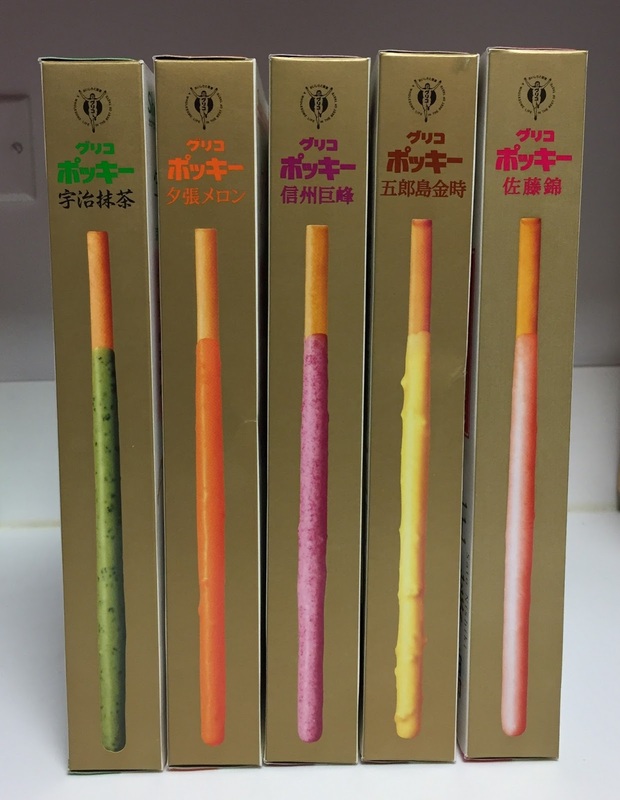 It's called Gotouchi Miyage Pocky (ご当地みやげポッキー) and it means Local Souvenir Pocky, and the series had Hokuriku area only flavor, "Goroujima Kintoki," available in Ishikawa, Toyama and Fukui prefectures from January 24, 2017. 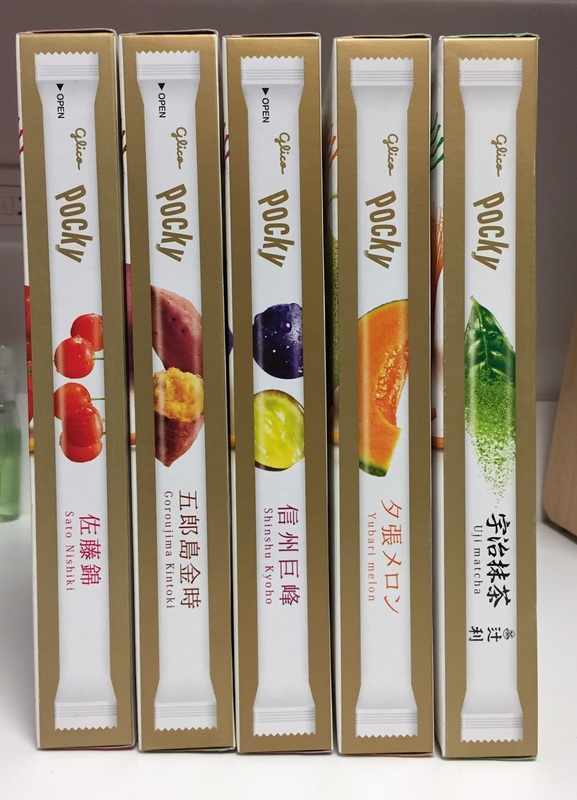 I thought this Pocky was the same size of regular Pocky, but apparently, it's a big box and sold at train stations, airports, and duty free shops at the international terminals, not at regular supermarkets. 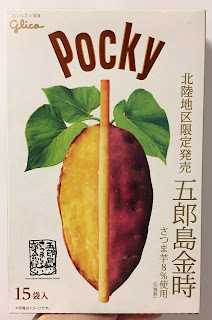 My mom looked for this flavor at the local supermarkets but didn't see it at all, but on the way to Narita Airport, she found this at a train station. 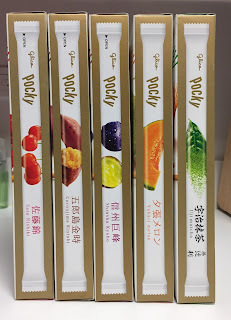 And also 4 other flavors at a duty free shop after going through the embarkation procedure, and I got 5 special flavored Pocky thanks to her. 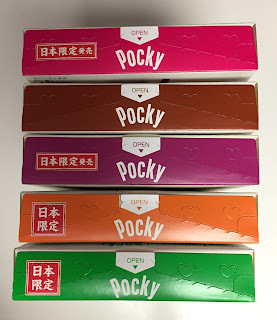 The top had different colors. Goroujima Kintoki is a type of sweet potatoes from Ishikawa prefecture, called Kaga Vegetables (加賀野菜). 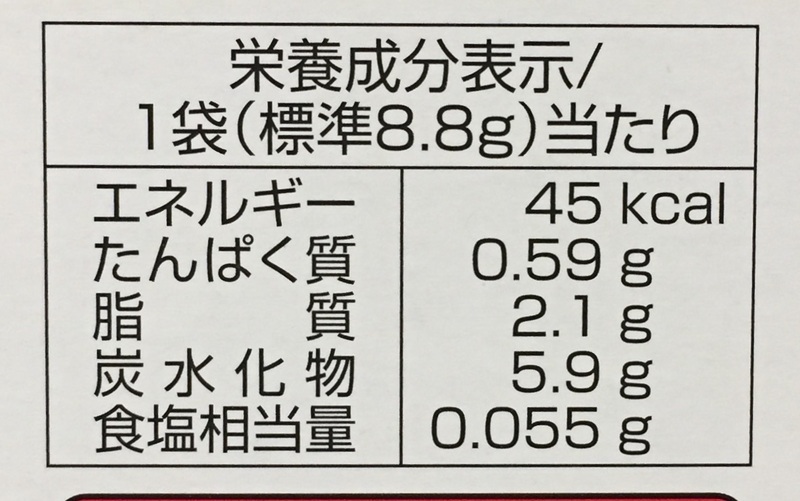 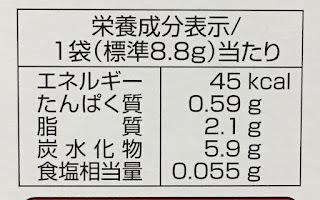 8% of the chocolate coating is Goroujima Kintoki. 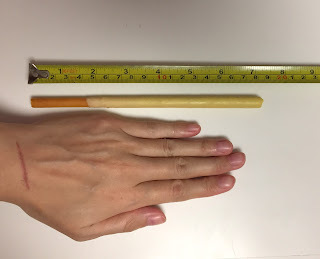 The box is about 24cm (9.44 inch) long. 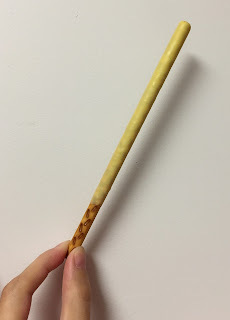 Pocky with Goroujima Kintoki that was grown in a dune land facing Japan Sea. 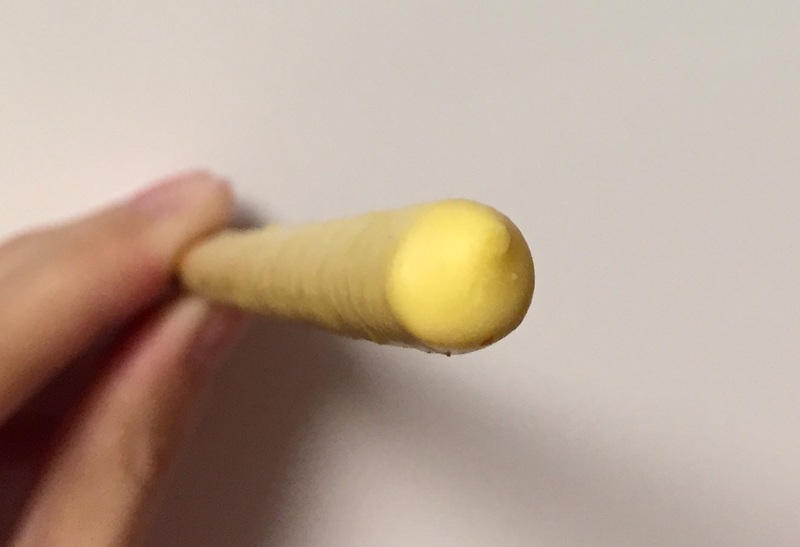 Goroujima Kintoki, a type of traditional Kaga vegetables, has a characteristic flaky texture. 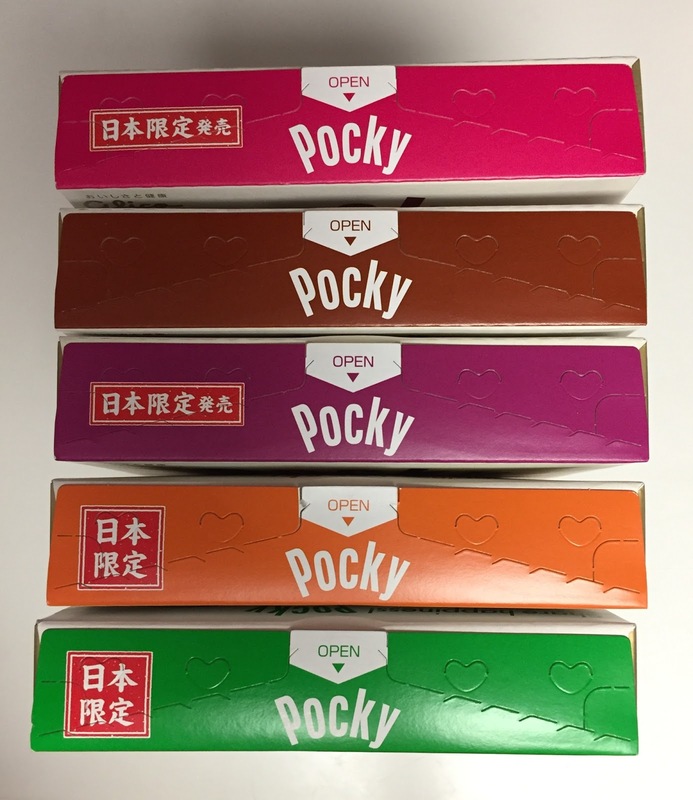 It's a luxurious Pocky that provides fine sweetness in your mouth. 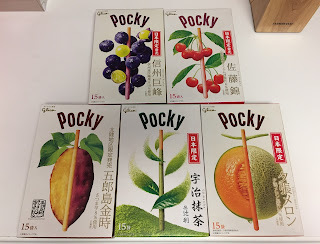 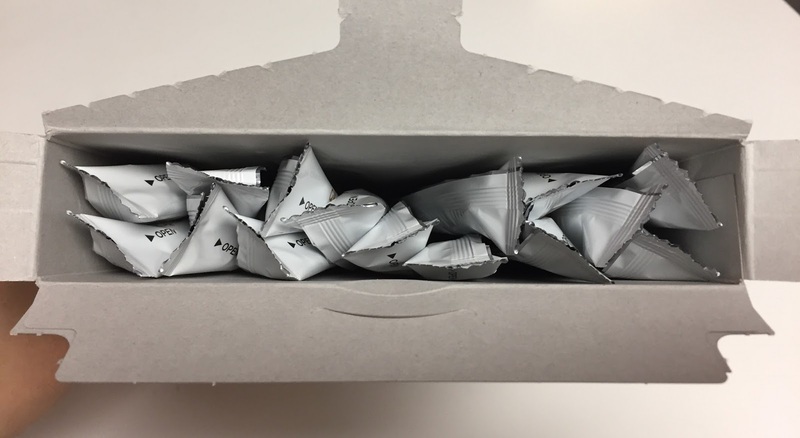 Individual wraps also had the same design of the side of the box. The wrap was also 24cm (9.44 inch). 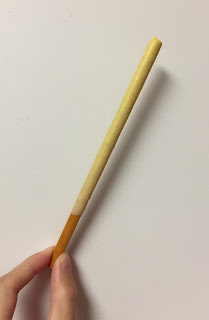 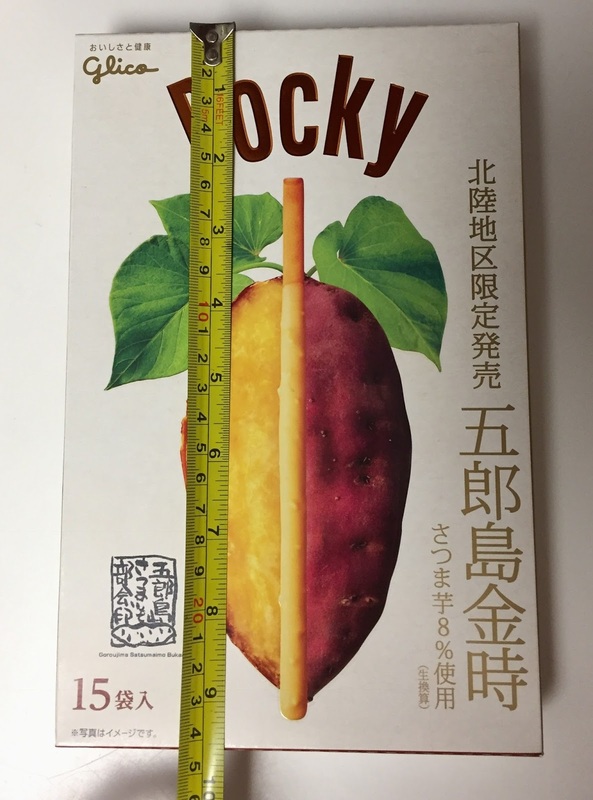 It's a long, large, and thick Pocky with sweet potato scent. 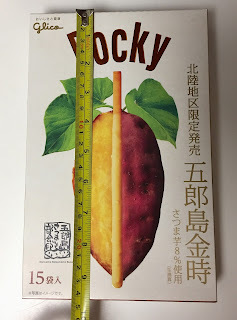 Pocky was about 18.5cm (7.23 inch). The chocolate coating was completely covering the top. 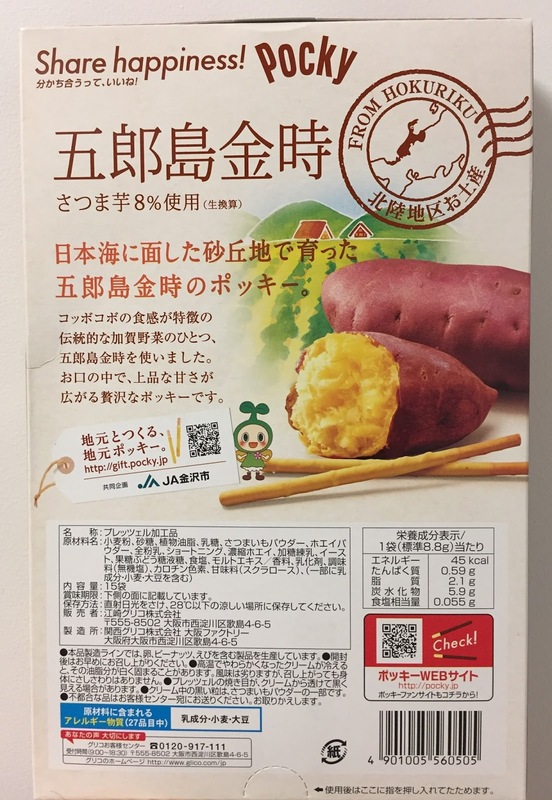 Smooth chocolate was rich in sweet potato flavor and the sweetness was from vegetables. It tasted like sweet potatoes and this Pocky was so tasty. 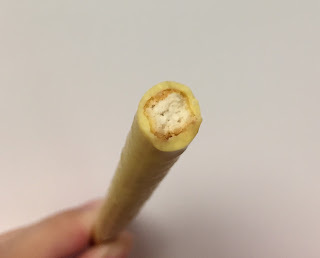 The biscuit was also thicker than that of regular Pocky so that it's crispier.